Liberal candidate for the seat of Hume, Angus Taylor, has emerged as a staunch critic of wind energy and the national Renewable Energy Target. Taylor’s most recent attack on wind energy and the RET since his appearance at the lacklustre ‘wind power fraud’ rally was a letter published by the Goulburn Times. Angus Taylor has already been chastened by his Coalition colleagues over his anti-Renewable Energy Target stance, and it’s clear why. Some in his party must be seriously wondering whether Mr Taylor is the candidate for Hume or the candidate for hyperbole. Mr Taylor’s claim that the cost of the Renewable Energy Target is “exorbitant” and is the principle cause of increased electricity bills is a gross exaggeration. Data from the Australian Energy Market Commission (PDF) shows the RET accounts for less than two percent of the average household electricity bill – or a mere $35 from a $2000 bill. Transmission, distribution, and wholesale electricity prices are the largest contributors to power bills. If Mr Taylor was serious about reducing power bills, these would be his targets, not wind farms. If Mr Taylor takes up the challenge as a champion for cheaper electricity, he’d find an unlikely ally in the wind industry. Energy analysts agree wind farms are causing South Australia’s wholesale electricity prices to drop. This trend resulted in the SA Essential Services Commission directing energy companies to cut retail prices cut by 8.1 percent. The move will lower the average power bill by $160 a year. So, what are Australians getting for their $35 investment in renewable energy? Cheaper bills, less pollution, and action on climate change. Who could vote against this position? Angus Taylor isn’t interested in the facts, instead he promotes double standards and employs cherry picking data to suit his claims. He never mentions the extremely large subsidies received by fossil fuel fired generators but he never fails to rail against any subsidies clean energy might receive. GET SERIOUS, MY POWER BILL HAS DOUBLED IN THE LAST 2 YEARS IN S.A FROM THESE USELESS GIANT WEEDS THEY KEEP PLANTING AROUND THE PLACE, CHEAPER ELECTRICITY- YEA RIGHT! Australian Energy Market Commission Transmission data identifies transmission, distribution, and wholesale electricity prices are the largest contributors to power bills. 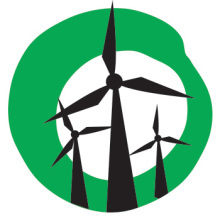 Wind energy decreases the wholesale market price. If the retailers aren’t passing on the savings I encourage you to take issue with them, rather than wind farms. Windbrick, I look forward to you providing the evidence to support your claims – but I won’t be holding my breath. Angus Taylor makes so much useless noise that he is the direct cause of people within 2 kms to become desperately ill. Some have been known to pluck out their own eyes and tear off their ears. While some contend that he is a bit of a looker is there any doubt that he is a blight on the landscape and there is evidence that his mere presence has caused property values to plummet. Now he also wants government to subsidise his life. But in their wisdom the Liberal Party has anointed him as the next bright young thing – even a future PM in the mould of JFK! This bright young but deceptive, irresponsible, young thing must be stopped. Over to you Hume voters. And that stopped him didn’t it!!!!!!!!!!!!!!!!!!!!!!!!!!!!!!!!!!!!!!!!!!!!!!!!!!!!!! !